I installed the new nForce drivers tonight, being version 6.39... after completely uninstalling the old drivers, which were version 6.16 beta from Techconnect. The thing that is bugging me is that having gone back to the 6.16 betas, 6.14 betas, and currently on the 5.10 WHQL's, I can't get the nForce memory controller drivers to install. And it seems to have cost me around 2000 Aquamark points. Does anyone know how I can get them (The nForce memory controller drivers) back onto my machine? I have tried updating the drivers manually, but have had no luck. try using driver cleaner (might be in the files section) to completely remove the nf4 drivers and then re-install the correct ones. graham do you think you could upload the newest copy? or if not swing me a link to it so we can get it up? 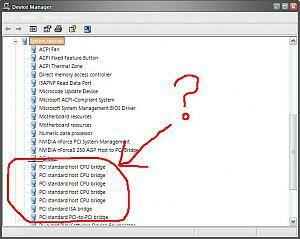 i don't think the memory controller driver is required since it's on the cpu and not the chipset on the athlon64's. 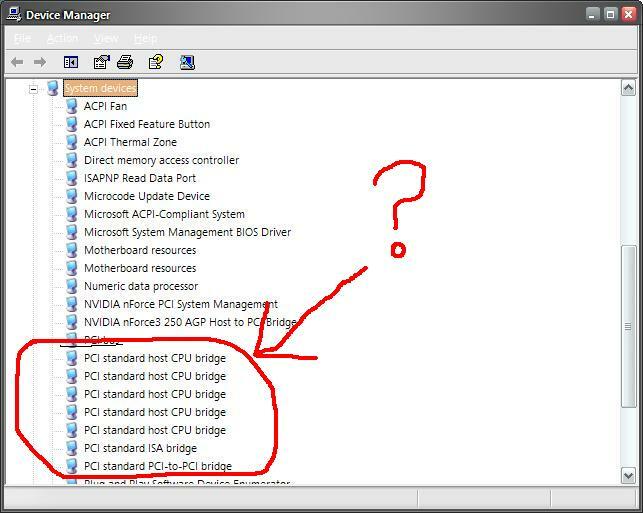 i have the nforce3 ultra with the 5.10's installed after a clean os and there is no such memory controller listed. He wrote it seemed to have cost him 2000 Aquamarks - since the memory controller is built-in in the CPU itself I would rather suspect the lack of GART drivers. DriverCleaner => GART from 4.27 unified package => the rest from 5.10 release. That won't hurt, even if the above suggestion doesn't help. Last edited by MietmaN; 8th February, 2005 at 10:05 PM. Thanks again all for your help! DriverCleaner removes everything and leaves nothing left (only ashes and dust ), so you will have to install both NIC's and firewall's software /drivers again. Last edited by MietmaN; 9th February, 2005 at 01:46 AM.